Beginning on June 14th, Russia will host the FIFA World Cup for the first time. 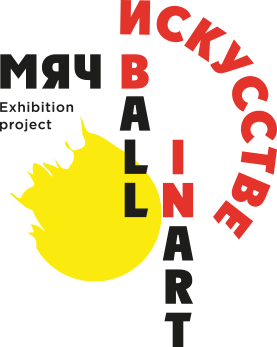 In celebration of this national event, the Kraft-Pavlova Foundation, a non-profit institution that aims to support the development of Russian contemporary art, is curating a large-scale international exhibition entitled “Ball in Art”. This exhibition is organized in collaboration with the government of the city of Moscow and the Eurasian Academy of Television and Radio (EATR). It will provide visitors with the opportunity to experience the world’s most popular game not only from the football stadium or from the television screen, but also through the lense of art. According to Arsenal F.C. coach, Arsène Wenger, “football is as much an art as dancing is.” His words raise the question: how can a sport as universally loved as football be transformed into art? Today, football is regarded as much more than a sport or a simple pastime. For many of its fans, it is an object of sincere love, a source of national pride, and engenders a level of devotion that sometimes borders on the cultish. To describe football in this way is anything but an exaggeration. There is even a church in Argentina that was founded by fans of Maradona: Iglesia Maradoniana. With this in mind, our exhibition was built around the themes that play into the extreme devotion that football inspires.